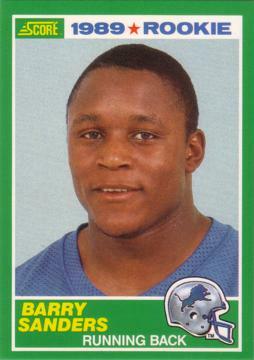 Barry Sanders played for the Detroit Lions, amassing 15,619 yards over 10 seasons, from 1989 to 1998. 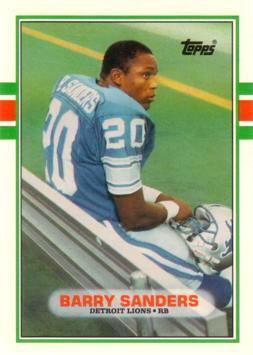 This is his rookie card, produced by the Topps Football in 1989. Topps is the oldest and most widely known sports card manufacturer in the hobby.